Creating a perfect commercial promotion video requires time, talent and promotional strategies which are often overlooked. You may be very good at promoting your channel content, but marketing video content may not be recognized by advertisers, which is why we introduced several tips to help everyone create a video. The tips below will go a long way in helping you create a unique video that will stand out among so many videos online. The first step in creating a unique promotional video is to define your audience. 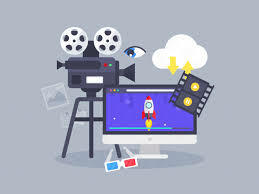 They are the main purpose for creating promotional videos and the video you, will generate should stand out and excite your intended audience. You need to identify your intended audience to have an insight on the video you are creating. Your videos need to be entertaining, thought-provoking, creative, interesting, informative, original and concurrently be of direct interest for your intended audience. Also, one of the most powerful ways to implement effective promotional videos is to educate the audience. It is more effective to create videos that offer advice, tips, information and other informative content rather than a solely promotional video. When creating your video, it is essential the creative direction should play well with whatever tone you decide to go with. There are various tones you can explore for your creative direction in a bid to identify how your video is going to make your audience feel. For instance, a dramatic video will make the audience get moved emotionally; a straightforward and informative video tend to be clear and concise while a conversational video is always casual and authentic. There are other tones like Humorous, Quirky, Cutesy, Inspirational, Entertaining, Artsy or Luxurious videos. There are indeed more tones to explore that can bring your videos to life. Before you invest too much money or time as you create your promotional video, it is essential to search for ideas off other people who are experienced and familiar with your online goals and product/services. This will help you consider the right rapports for the videos which could impact how your videos are perceived or accepted by your audience. It isn’t a bad idea to call upon the expertise of a professional video production company to ensure your video is of high quality. Text helps your audience follow the message even when the sound is off, convey the information better than an image and will also enhance the viewers’ understanding of the video. But, putting excessive text in your video just because you have a ton of information to tell your viewers can be overwhelming for them and they might end up watching the video halfway. Fill your videos with critical texts that are essential and make sure it doesn’t move quickly as that might give the readers a difficult time reading it and if your audience is spending a moment thinking with the fact that they are reading something, they will move forward to a more interesting video. Choosing the right music for your video can be tricky but it is essential to include music that can evoke an emotional connection with your audience creating a more exciting and emotive video. Before you choose a music, you should decide which role the music will play on the overall impact of your video as well as the demographic. You should know if your intended audience are the type that listen to music based on a cultural tribe they are part of, for instance, to reach a broad market, you will need to look for music that is broadly appealing. Once you undergo all that steps in creating your promotional video, sharing it will be the last stage to publicize it fully. You can share to your families and friends for a start. You just have to keep sharing as you don’t know where the interest will come from. To also add a little prestige to your video, you can build hype around the video by promoting its launch date on your website, blog and social channels. Sharing your video around will surely get it far around in a short amount of time. Don’t hesitate to share to even a stranger and in a short period, your video might go viral. Prev NoxInfluencer New Version Released! – 18 Oct.